The Red Devils were expected to land a centre-back before the transfer window closed, with manager Jose Mourinho looking at Leicester City’s Harry Maguire, Bayern Munich’s Jerome Boateng and Tottenham Hotspur’s Toby Alderweireld. However, United failed to procure the signature of any of them and will go into next season with only Lee Grant, Diogo Dalot and Fred as new signings. The Manchester giants finished second in the Premier League last season, but Liverpool are being fancied for a title challenge rather than Mourinho’s side. While supporters may have unhappy at the lack of big-name signings this summer, United do have a squad brimming with talent, particular in attack –Jesse Lingard, Marcus Rashford, Anthony Martial, Romelu Lukaku, Juan Mata and Alexis. The 29-year-old, who joined from Arsenal in January 2018, has struggled for form at United. 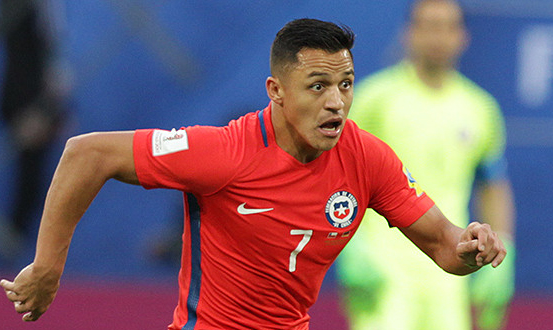 Alexis scored and created eight goals in 18 appearances in all competitions, but his overall performances were lacking. He may have expected more from the club, but big things are expected of him in 2018/19.